Written In Fond Farewells by Bridger Cunningham. 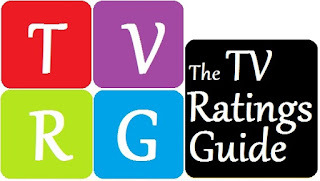 Greetings, TVRG readers. It is with excitement and heavy hearts that I announce my exit from the site as a contributor. Effective May 26, I will have officially vacated my duties reporting on the Sitcom Scorecard. Between now and then, I will not only be reporting the Sitcom Scorecards weekly, but also finishing up the site's Ratings History Project. I leave you my legacy via these entries of classic ratings, making this site the first place with the most contiguous historic data on the net. I have taken a new gig with an adjacent site which many of you are familiar with and will begin writing effective June 18, 2018. Out of courtesy for this site and to abide by my confidentiality clause, I will abstain from revealing this site until Friday, May 11, 2018. Ironic, as this is the titular date of Renew/Cancel upfronts which the bulk of this season's TV shows will be revealed. Before exiting, I promise to cook up the final scorecards of the season with much crass humor and delight. Also, I will be taking this franchise with me to my new establishment, and I invite you to follow me to my new haunts. I joined this phenomenal site in December 2016 as an onlooker. My curiosity was perked upon reading the articles and other features, yet I could not figure out how to crack into writing on here. Then, innocent discussions in the Off-Topic area gave me a wisp of writing material via the Sitcom Scorecard. And of course, the TVRG Ratings History project and Ratings Library, which traversed much of 2017 and is rounding the bend as we speak. Though the "Sitcom Scorecard" and "The Schedule as We Knew It" are due to follow me to my new gig, I leave you, the viewers, all of my Historic Ratings as my parting gift which belong exclusively to this site. A special thank you to the site founder, The Ratings Junkie, for not only publishing on my behalf at the beginning of 2017, but also fostering an excellent launchground for forming writers. I could not have learned formatting without the help of identity-fluid Rebecca Bunch, and Jonathan Ducote also helped support efforts to get me to write and published on my behalf. Hunter Vogt did an excellent job in giving pointers on reviews, Full Boyle gave me the motivation to write political/socially relevant articles, and SuperG helped bridge the CBS insight to my articles. And most importantly, a special thanks to the ladies on the site. Not you, Rebecca, but rather Jessica Boggs for creating an excellent creativity board via OT. And of course, my crass idol, Smoo. Had you never encouraged me to join this site, I may have never found the motivation to pick up writing in my 30's. I'll divulge more details about my new writing location in the upcoming weeks. Until then, join me as I go out with one hell of a crass bang! And just in case we're in dumbass mode, APRIL FOOL'S! I always strike early.